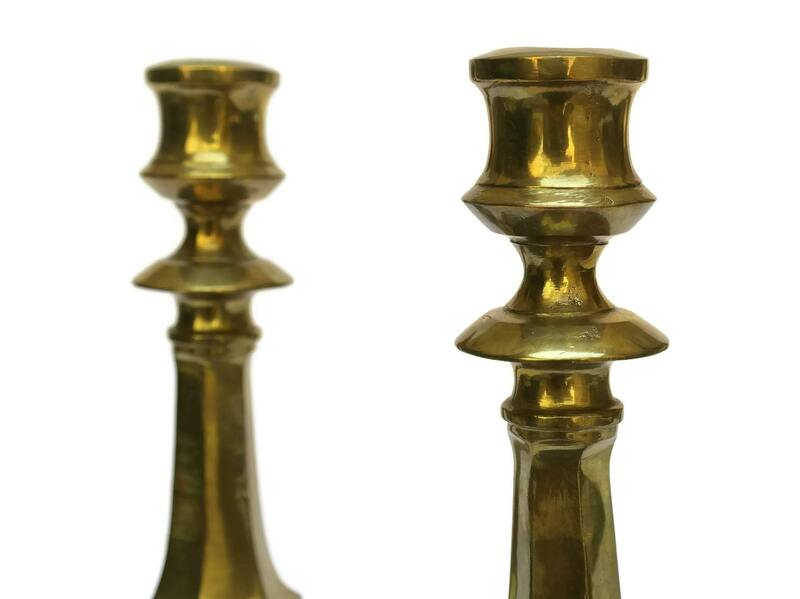 An elegant pair of French antique brass candle stick holders. 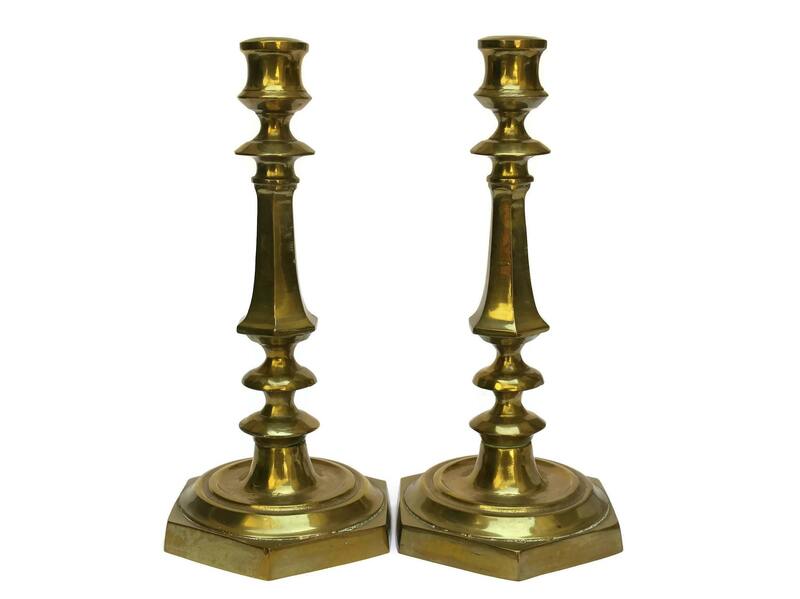 The two large and tall candlesticks are identical and have been cast from heavy brass. They feature a classic French design and rest on hexagonal bases. 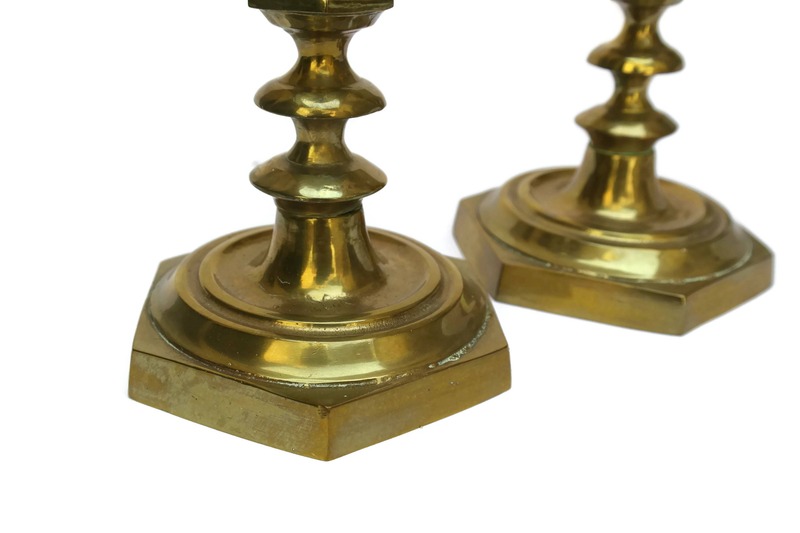 The bases can be unscrewed for cleaning purposes. 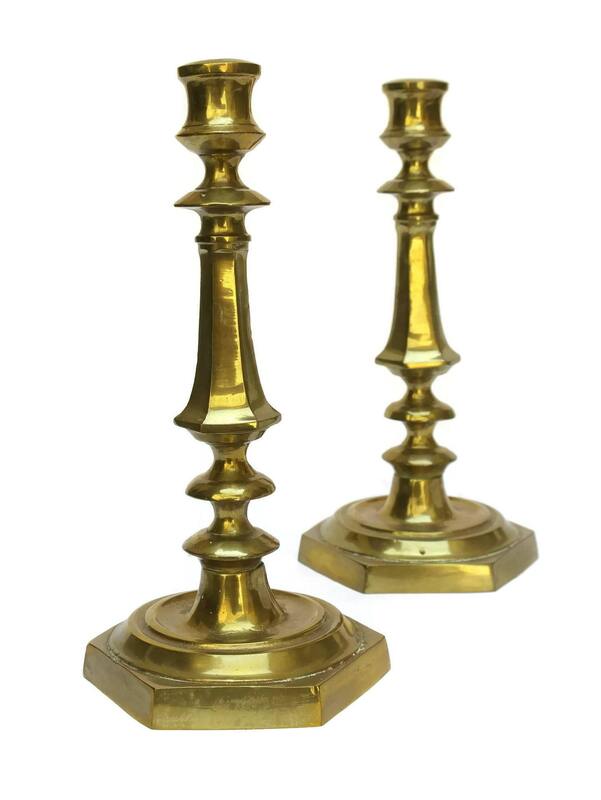 The brass candle holders are relatively heavy, weighing 3 Lbs each (1.5 kg). (27 cm x 13 cm). 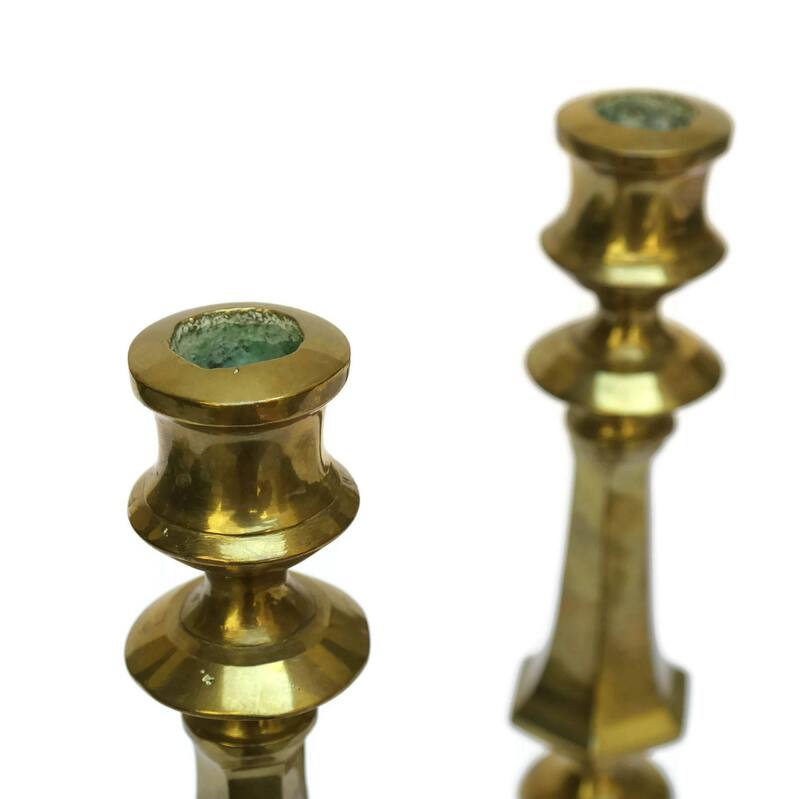 The pair of antique brass candlestick holders is in very good condition with a rich patina to the brass. There are light surface marks and scratches to the brass in places.